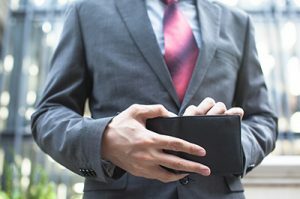 Blanketing a target area with direct marketing materials is a classic real estate agent trick to build name recognition, and its one you as an investor shouldn’t ignore. 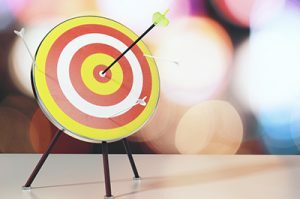 Targeting an area or neighborhood with door hangers, flyers, and other marketing touches is a somewhat costly but effective method of generating leads, and if you do it right, you’ll generally get some deals! The principle is exactly the same for investors as it is for real estate- by blanketing an area with your brand, you put yourself on the front line of their minds when and if they ever consider selling their home to you for cash (or however you’re branding yourself to potential leads). 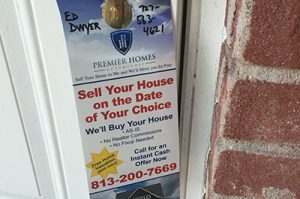 You can use door hangers and post-its on the small scale with some success.For example, some investors will keep door hangers in their cars and drop them off at any run-down looking property that they see when they’re out in their day to day life, and target specific homes that way. But, for the best effect, large-scale targeting campaigns are called for.This post will cover the best ways to canvas a neighborhood with custom door hangers or post-its to get the largest amount of leads. We’re not going to look at the content or design of the actual materials (because an I’ll buy your house-style headline, quick list of benefits, and your contact info is generally enough), but we’ll focus instead on distribution and how to get your name out there, as well as how to outsource the project. Read also : How to invest in Real Estate? In marketing, there are two broad categories your campaign can fall into: 1) targeted campaigns that send material to specific groups of people based on demographic information, and 2) broad campaigns that carpet-bomb a geographical area regardless of demographics. Door hangers and post-its are broad marketing techniques, but that doesn’t mean you’re going to be just throwing your materials anywhere because it’s a broad campaign. Broad doesn’t mean undefined. You want to target a region in particular that makes sense with your business model. If you’re already reaching out to a neighborhood with some direct marketing material, then a smart move is to target that same neighborhood with your post-its and hangers so you’re touching the same potential clients multiple times across different materials. If you’re interested in building your brand in an area, you want to be sure you’re distributing in an area that will result in you making the most money. So, knowing your area is the first key to success here. This is perfect for a pocket you want to target hard in a virtual market to get your name out there quickly. Oftentimes, you can start by pulling some data averages from the region you’re looking at to guide your content and distribution route. What have homes in the area sold for in the past? How much equity does the average area homeowner have? What is the average square footage in the houses? What percentage of the area’s homes have been foreclosed in the past year? What percentage of thearea’s homeownersown more than one house? These are some questions you can ask to determine which area is right to hit, but it’s likely that if you’re reading this you already have some neighborhoods in mind, so let’s progress to the actual distribution. One option is to carpet an area in stages by delivering your marketing goods yourself. You can go door to door and hang or stick your content with your own hands. This is, to say the least, going to be a labor of love. One, you save a lot of money by not paying a service to deliver for you. Door hangers average about 15 cents a unit, making them on the cheaper end of marketing materials because you don’t have to pay for postage, and hand delivering really keeps this cost down. Two, you get facetime in an area and really get to know it. Aside from just burning calories, walking around a neighborhood gets you up close with its character and residents, and you might get the chance to interact with some locals. If you’re wondering whether or not to knock on the doors of the houses you’re dropping material off at, it’s a matter of opinion. Some people swear by the personal connections they make with face-to-face encounters, others view door knocking as intrusive and they won’t do it. Whichever you choose, it’s generally fine to chat up people you see walking around outside to make some connections. Be friendly and personable, and be sure that you have business cards handy.And good walking shoes. If you have money to spend on door hanger and post-its, you can pay to have a service distribute them. This will cost more, obviously, but if you can afford it, your time might be worth more than the hours you’d spend hand-distributing thousands of them to a massive area. Look into local services and check the reviews. Be suspicious of any service that claims to be able to deliver for cheaper than twenty or so cents a unit. Oftentimes delivery can take months, especially if your distribution range creeps up into the five digits, so bear that in mind. You might not find any door-hanging services, though. In this case, you’ll have to find a motivated person who could use some extra money. I suggest asking your friends and family, posting about it on social media, and running a few Craigslist ads until you find someone. Offer them $15-20 per hour, or a per-door rate that adds up to the same amount (it helps to have done it yourself first). Always drive through the neighborhood afterward to double-check on them, or at least the first few times. In the end, whether or not to distribute post-its and door hangers should make economic sense. If you do your research ahead of time and choose an area that has high potential for good deals and you’ve weighed the value of your time against the money you have in your budget, a door-hanging campaign can generate some great leads.